The fun doesn't end with Cherry Blossom. From cities to small towns, Middle Georgia has plenty of fun, food and fellowship to offer. On your mark, get set, GO! The second Saturday of April brings out the competitor in everybody as teams of homemade soapbox racers vie to be named the fastest and most creative cars in a thrilling race down the steep hill of Magnolia Street, beside the College Hill Corridor’s beautiful Washington Park in one of InTown Macon's friendliest neighborhoods. Coupled with the park's inviting early-spring blossoms and great live music, the derby not only brings out competitors, but hundreds of spectators and fans who enjoy a full day in the park with picnics and pets. Always family-friendly, the Magnolia Street Soap Box Derby is full of activities for children, including big wheel races, and is host to on-site local vendors and food trucks, for those who prefer to picnic with the convenience of no packing. It's a springtime afternoon of wholesome, old fashioned fun in historic downtown Macon, Georgia, and racers and race fans of all ages are invited to participate and join the merriment at 10am on Saturday, April 14, 2018. Be there to see--or be one of--Macon-Bibb's best good-sports in action at the Magnolia Street Soap Box Derby! For 30 years, the annual Dogwood Festival has brought thousands of people to beautiful, historic Downtown Perry. The two day celebration is held in April and includes an Arts & Crafts show with more than 100 unique vendors and the Ultimate Air Dogs competition. On Saturday night, just up the road at the Georgia National Fairgrounds, the festival features a Hot Air Balloon Glow with tethered rides. Join us on April 28 – 29, 2018, as we drum up a lot of excitement, entertainment and fun at Central City Park as our Pan African Festival of Georgia prepares for another successful year, with something that everyone in the family will enjoy. The 2018 Pan African Festival will be bigger and better than ever (check out the schedule of events below) and we’re planning it full of jam-packed activities — music, dance, food, art, storytelling and food trucks — and the return of the Children’s Village. This family friendly event will feature delicious Caribbean and Soul Food options and food from all around the World for your dining pleasure. There also will be unique goods for purchase, as well as local and regional artists and artisans who will showcase their works for purchase. All throughout Central City Park, regional and local artists, musicians and performers will entertain the crowds. Join Main Street Gray, Saturday, April 21st at the Pecan Orchard in Gray, Georgia for our 15th Annual Daylily Festival as 100+ booths are taking over the Pecan Orchard. 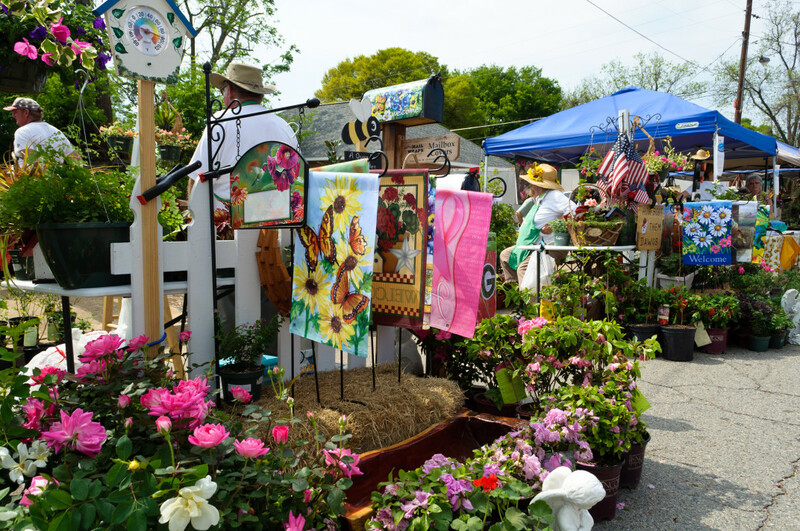 Vendors are bringing their best antiques, collectibles, vintage, local artwork, outdoor gardening, iron works, pottery, woodworking, folk art, jewelry, glassware, textiles, rustics, upcycle, a broad variety of shrubs, annuals, perennials (including rare & usual plants), jams, jellies, honey, great food & much more! You don’t want to miss this one! Senior citizen, military and police officers $1. The Georgia Strawberry Festival is a 501c3 non-profit corporation organized for the purpose of promoting strawberry information, providing an avenue for local fund raising and promoting community involvement in a family atmosphere. The Georgia Strawberry Festival brings together a great group of people for a wonderful annual event that celebrates hometown values and of course strawberries!